THE SKY I SCRAPE: Mystery Boxes Are Back! Pearl Jam is bringing back their mystery boxes. 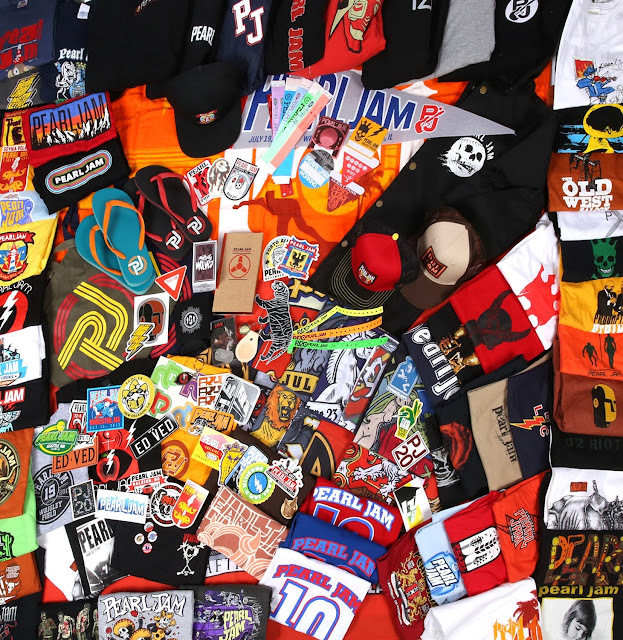 While supplies last, $100 will get you a great mix of posters, clothing, trinkets, and stickers stuffed into a tote bag. Last time they did this, some fans got some really cool stuff. Pearl Jam March Madness: The Finals!